So I was on set yesterday and came across something that in indie film (especially ultra low budget) has happened quite a few times to me. We had a lead actor no show. In this case we were able to power through and the director dutifully stepped up to play the part (which made for quite the challenge for her). However, in many other cases this resulted in delays (usually several hours), last minute scene changes, and other scrambling. Most directors and production companies seem to be used to these types of issues and they just power through them. Which leads me to my point and that is that when you commit to a film (verbally or in writing) just commit to it. Don’t just say you will do something and then cancel the moment something better comes along. In the short-term you may have a better gig but in the long run word will get out and you just won’t get as many opportunities. I guess it’s hard for me to relate to this because when I make a commitment to a production I honor that commitment (unless I am physically unable to for some reason). So yesterday I also received a way better offer to be on an episode of a national TV show. I declined because it wouldn’t work well within my other commitments to these ultra low budget productions. You know what? The director completely understood and was open to giving me another chance for a future episode (he was okay because I was honoring my commitments). In the end, you have to be an actor that people can count on. 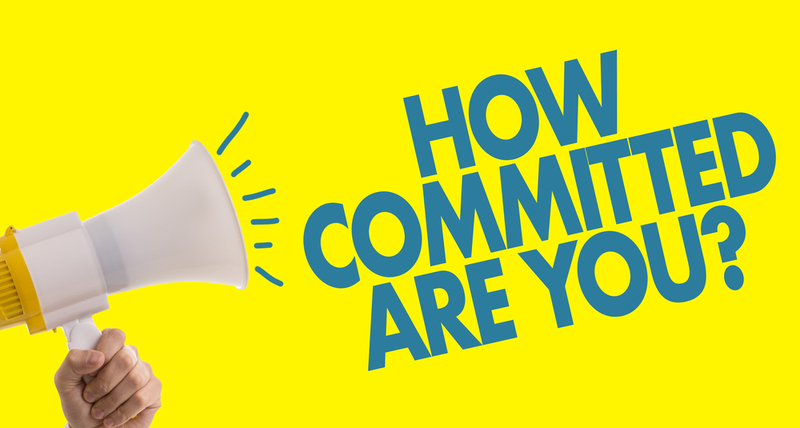 If another director or even your agent encourages you to break commitments, then my recommendation would be to break ties with them instead. Be easy to communicate with, check and respond to emails, texts, and other communication from the production team. The more prompt you can be the better. Be on any conference calls or meetings that the director calls (again I have experienced this multiple times where actors just skip meetings). Ironically, those that skip are usually the ones that complain about lack of communication. If you have rehearsals, be there. Every chance you can show the director that you are easy to work with, reliable, and seeking direction for your role, the better it will work out for everyone. Confirm your call times with the director or production assistant and just be sure they know as soon as possible of any time conflicts so they can plan accordingly. If you haven’t received the call sheet the night before your scene, contact them proactively to nail everything down. Show up before your call time to run scripts and just reduce the stress on the whole team (it’s way better to be the person waiting than the person everyone is waiting on). Show up knowing your character, knowing your lines, and just prepared to deliver. Nobody wants to have to do tons of takes because you don’t know your part. Do the work in advance and be ready. Don’t be difficult on set. When you are on set it’s not about you it’s about creating the best production possible. Don’t ruin that by being a pain to anyone. When you are done help clear out as best you can or at a minimum pick up after yourself and clear out after thanking the director and the whole team. All of this really can be summed up by just being professional. Filming is hard work whether it is an ultra low budget production or a major motion picture. Show appreciation for what everyone is doing and try your best to just go with the flow. Most importantly, just be present (physically AND mentally) at all times and you will be good to go!